Well, that is not strictly true: I can become obsessed with it. These past few days when I have been working at my pc I have had cricinfo.com on. A rain ruined test was inching towards a draw. The kind of match that only gives people who are interested in cricket statistics (that would be me then) any pleasure. It got worse yesterday; rain, rain and yet more rain. Play began at 3pm. A maximum of 51 overs were left and two innings had not been completed. 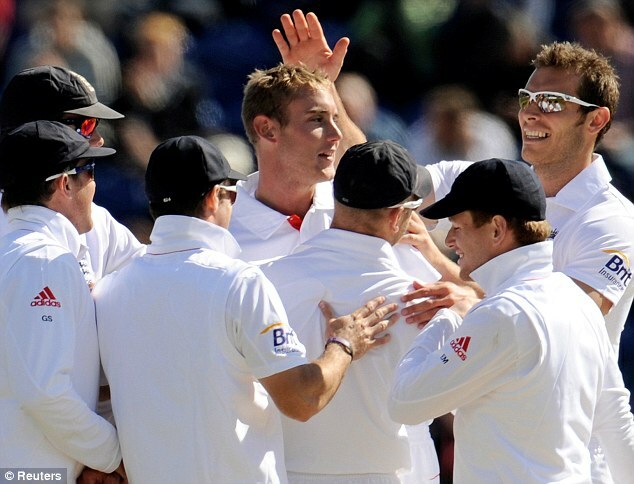 England meandered along to allow a batsman to get a century and declared. The test could be finished within 3 hours for a draw. All England could do would be to take a few Sri Lankan wickets and set a marker for the next test (If you are reading this and are American, I could be making all of this up). And then….. the impossible happened; a collective bout of Sri Lankan insanity (cricket is a game played 90% in the mind), some incredible bowling and out of nothing an unbelievable victory. I love this game: the ultimate sporting experience- as one sage has observed, just like chess on grass. I can hardly wait for the next one…. Author GrahamPosted on May 31, 2011 Categories cricketLeave a comment on Unbelievable! You have exactly two and a half hours. Read the paper carefully before writing anything. Answer three of the following questions. 2. Who did what, to whom, and in what year? Explain your answer. 3. Discuss, in no more than 2000 words, nothing in particular, with reference to anything you like. 4. Would you say that Cleopatra was directly responsible for the corporeal decline of Herod the Great? If not, what would you say? 5. Describe, in excessive detail, the woman at the well. What were her pneumatological implications? Could you suggest a suitable remedy? 6. Briefly solve the synoptic problem (3-4 lines max). Explain why the problem still baffles scholars today, and suggest what should be done to them. 7. Examine and evaluate Schwinkelmeier’s exposition and assessment of Pfundhoffer’s representation and appraisal of Kasselheimer. Critique your answer. 8. Use this sheet to fashion a lifesize replica of the inner sanctuary of the Jerusalem temple. You may ask for more paper if necessary. Crayons are allowed. 10. John the Baptist was beheaded with the Axe of the Apostles. Refute. NB. Do not attempt to write on both sides of the sheet of paper at once. Eugene on a Sunday again…. ‘Oh, you are a minister/vicar/priest/pastor/go to church….that is nice’. I had a lot of bad advice in the first couple of years of being in ministry about how I should dress, speak and behave. Over time I learned to ignore it. Author GrahamPosted on May 29, 2011 Categories quotationsLeave a comment on Eugene on a Sunday again…. Your football allegiance gets formed in childhood and often for irrational reasons. As an 8 or 9 year old I picked Manchester United. I don’t fully know why: I lived in Leicester and Manchester was a far off mythical place that I visited for the first time when I was 21. For a time I have followed other teams as well as a ‘second’ team: Oldham Athletic when I lived there and now Middlesbrough. As anyone who has half a sporting braincell knows, today is the European Champions League final between Manchester United and Barcelona. I expect Barcelona will go through Manchester United like a hot knife through butter, but part of me still believes. Author GrahamPosted on May 28, 2011 Categories football4 Comments on It’s only football but…. I had to do an assembly a day or so back (‘had to’ are the wrong words- I love doing stuff in schools) for a reception class (ages 4-5). It had to be on Jesus’ friends. 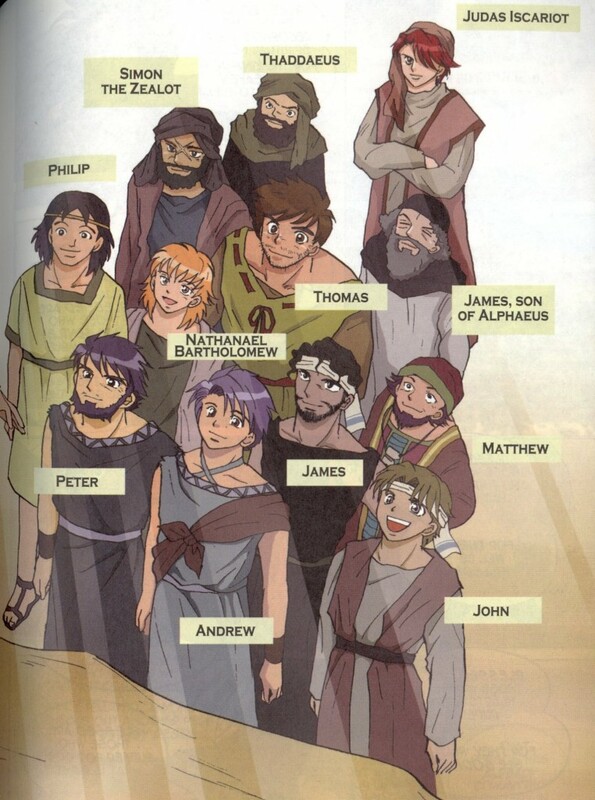 So I went to my Bible as I cannot remember the names of the 12 disciples and I wanted to find out the context of the story. Then it hit me- the stories of the 12 are laughable. If you had selected them to found a new religion, following on from the 12 tribes of Israel….well- you could have done a much better job. Who he chose and the way he chose them is bizarre, laughable, almost comic: random fishermen, outsiders and the jetsam and flotsam of society. It is a world away from ‘Saint Peter’ and ‘Saint James’…..plaster saints spoken of in hushed and pious tones that seem unhuman and remote. And before this post descends into a smug, insider Christian world of ‘Ho, ho, ho- God has a sense of humour to use us’, it struck me again: this is a world away from big churches, palaces, ‘casting your vision’, theological principles and carefully worked plans (that we usually go back to after we have uttered our ‘Ho, ho, ho’: that was alright for Bible times- this is reality). It is ordinary, simple, fragile, hopeful and yes even stupid…. This was on our church notices this week. Couple this with the Low video I had a few days back and you have almost my whole life philosophy. In the midst of turbulence let the church make space for the hearing of your still small voice. As humans we seek warmth and safety. We can pattern church on this: ‘nothing changes here’ or in the case of large churches, whole lives and relationships that basically live inside the building. I like this prayer- it encourages me to turn outwards and bless, be humble and seek what God might be saying. It is a world away from the spiritual ghetto. I once had a ticket to see Bob Dylan. Except I never saw him: he had a heart attack and the show was cancelled. I now hold to this irrational belief that I will never die until I see Bob Dylan. He is 70 today and my chances of seeing him lessen: maybe then I will never die….. I have several Dylan albums, but I don’t have a favourite Dylan track, although I hold to the theory that ‘Blood on the Tracks’ is one of the great albums and it is one I could play and play. I don’t think you can say that you ‘like’ Bob Dylan- he just is…..it would be rather like saying that you ‘liked’ oxygen. …when as Van Morrison observed: ‘the night is full of space’…… or in another track, ‘Can you feel the silence at half past eleven on a sunny summer night’? We are still about a month from the longest day, but already it is possible to go outside after nine at night and it still being light, the skies are big and I can hear the sounds of nature both falling asleep and waking up. I really love this time of year and the sense of possibility and openness it brings. And you expected something deep? It’s Monday…. 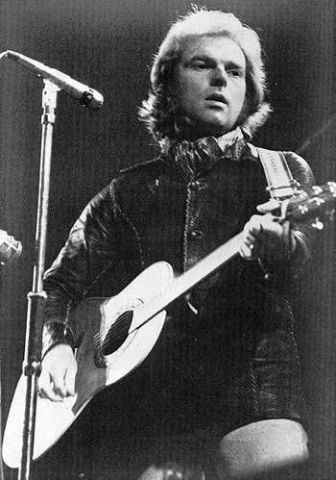 Author GrahamPosted on May 23, 2011 Categories random, Van Morrison1 Comment on It is that time of year…. Author GrahamPosted on May 22, 2011 Categories quotationsLeave a comment on Another blast of Eugene….